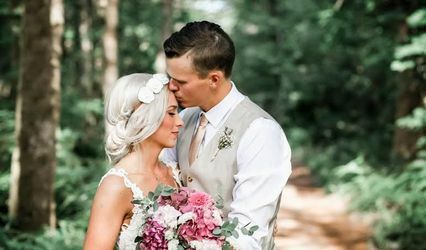 If your special day requires ice sculptures, horse drawn carriages and formal footwear Wind River Cellars is probably not for you. But if you want a setting with an incredible surrounding, magnificent view, and charming facilities then Husum's favorite winery is just what you're looking for. 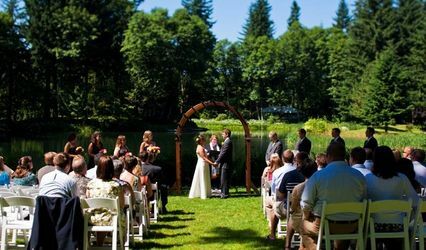 Wind River Cellars can accommodate up to 200 guests and offers an area for ceremonies as well as a reception area for eating, dancing and enjoying the evening view. 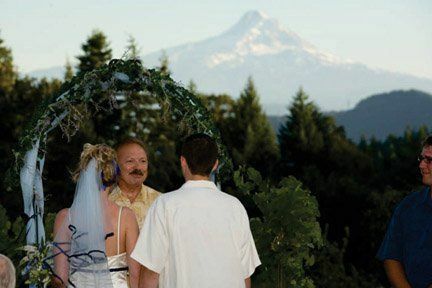 The Vineyard Garden is the wedding ceremony site, surrounded by twenty five-year-old vineyard with a spectacular view of the Columbia Gorge and Mt. Hood. 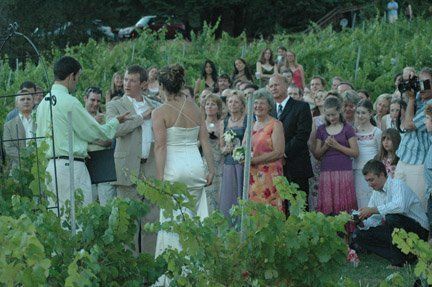 We offer a reception site just a few yards from the vineyard site at the winery facility. A large deck and patio area serve as the perfect area for hors d'oeurves, wine, dinner and dancing. This site also has an amazing vineyard, valley and Mountain view. The vineyard features full private facilities and ample parking. 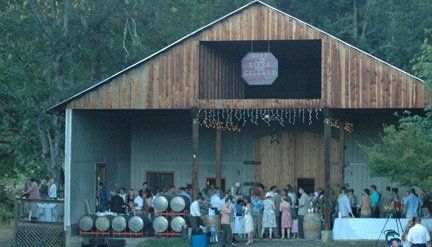 Full Service event planning, VIP arrangements, Group Tours, Limousine and shuttle service and much more can be arranged by the Wind River Cellars staff. 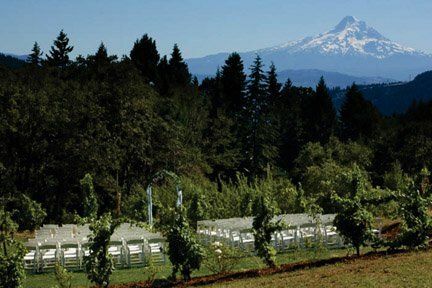 Wind River Cellars wines have been nationally recognized for their excellence and are included on the finest wine lists in the Pacific Northwest. Our award winning wines will be a perfect compliment to your evening.